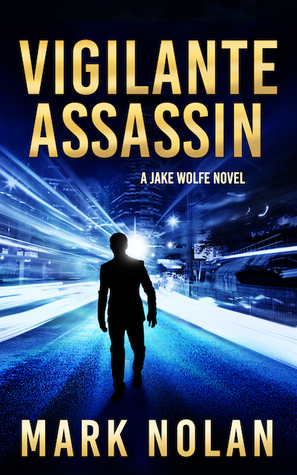 Trained as an assassin by the CIA, Jake Wolfe now wants a new life of peace and quiet, living on a boat and practicing law. But when his city is shocked by a serial killer and he’s framed for the murder of a friend, Jake must race against time to find the killer before he strikes again. Drawn into a deadly game of cat and mouse; at every step, Jake and his loved ones are being hunted by the clever, twisted madman. As the city is gripped in fear of the seemingly random shootings that could strike anybody, Jake investigates and uncovers ominous clues until a shocking reversal of fortune changes everything. With the clock ticking and lives at stake, will Jake be able to find and stop the killer in time, or will he become the next victim? Buckle up for a wild ride as Jake Wolfe and his exceptionally intelligent dog, Cody, return to action in this page-turning thriller in Mark Nolan’s bestselling series that has earned thousands of 5-star ratings on Amazon and Goodreads. Mark Nolan rarely ventures out of his writing den to do interviews, and seldom talks about himself on social media, but he’s always happy to answer emails from readers. We managed to talk him into giving us some fun facts about his latest book. What is Killer Lawyer about? 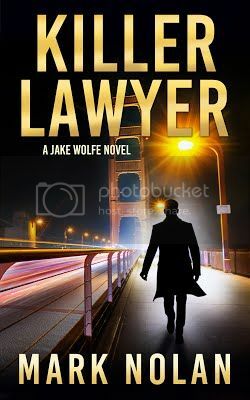 Jake Wolfe is a young lawyer with a secret past that keeps catching up with him. He served as an infantry Marine, and briefly as a CIA covert operative who assassinated high-value targets overseas. Now he wants to live in peace, build his solo law practice and try to hang onto the rocky relationship with his girlfriend, Sarah Chance (who is keeping a secret from him). But when a serial killer frames him for the murder of a friend, Jake feels he has no choice but to find and stop the killer before he strikes again, close to home. He and his adopted war dog, Cody, search for clues, and hunt down the mysterious criminal in a deadly race against time. 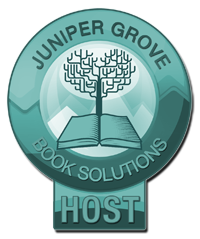 What do readers like about the book? Killer Lawyer includes a mystery investigation, surprising twists and turns, enjoyable character development, and a few scenes where readers get to see the point of view (POV) of Cody, the highly intelligent and well-trained dog. Many readers say Cody is their favorite character. A few other people are outraged though, and ask, “How dare you show the POV of a dog?” Oh, the controversy! Your mileage may vary, but if you’re open-minded you’ll probably enjoy Cody’s amusing antics and simple view of the world. Some other bestselling books that show a dog’s point of view include: The Art of Racing in the Rain by Garth Stein, Watchers by Dean Koontz, One Good Dog by Susan Wilson, the Chet and Bernie Mysteries by Spencer Quinn, and the other two Jake Wolfe novels titled Dead Lawyers Don’t Lie (Book 1), and Vigilante Assassin (Book 2). What kind of research went into the novel? This story required quite a lot of research, so much that the book includes a “Dear Reader” section at the end to explain what is real and what is not (most of it is frighteningly real). Readers are surprised at all of the amazing-but-true parts of the story. Truth is often stranger than fiction. That end note contains spoilers, however, so be sure to read the book first, before reading the Dear Reader section at the end. Is that the Golden Gate Bridge on the book cover? Yes, the story is set in San Francisco, and Jake lives on the other side of the bridge in Sausalito, on a boat at a yacht harbor. He often drives across the bridge, or cruises his power yacht underneath it. His best friend, Terrell Hayes is a detective with SFPD Homicide. The two of them served in the Marines, and while deployed in the desert, Terrell saved Jake’s life with a blood transfusion. Now they are blood brothers and best friends forever. If Jake had his way, he’d just go boating and fishing every day. He sometimes feels San Francisco is too expensive and crowded, and he threatens to cruise away to Fiji, but so far he has remained in the the Bay Area because of friends and family. Is this book part of a series? Can it be read as a stand-alone? Jake is highly protective of his four-footed best friend, and as a former war dog handler, he works together with him so well it’s almost as if they can read each other’s minds up and down the leash. For those who are interested in war dogs and their handlers, a good book on the subject is Sergeant Rex: The Unbreakable Bond Between a Marine and His Military Working Dog, by Mike Dowling, US Marine Sergeant and military war dog (MWD) handler. What does the future hold for Jake and Cody? Book number four is coming soon. In that story, Jake and Cody go on a trip and cruise the Far Niente to distant harbors. Along the way they have all kinds of adventures and get into plenty of trouble. Of course! Readers wouldn’t have it any other way. 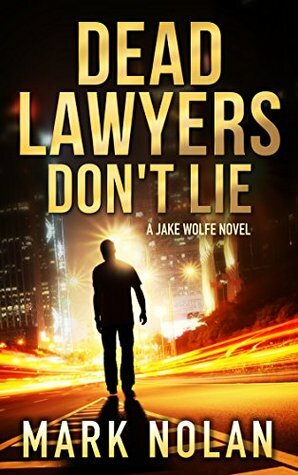 Mark Nolan is the author of Dead Lawyers Don't Lie, an Amazon top 20 bestsellers, along with Jake Wolfe book two titled Vigilante Assassin and book three titled Killer Lawyer. He tries to make time every day to answer emails from readers. You can reach him and subscribe to his newsletter at marknolan.com. I read Dead Lawyers Don't Die, so I am expected this one will be an exciting read. Good luck with the new novel. These are my kind of reads. Just love this genre. The book sounds very intriguing. Sounds like a great book, thanks for sharing! I enjoy the genre and it's always good to find a new series. Great covers too! This sounds like a really cool book. Great cover. What a great excerpt and cover. This sounds very good. It makes me want to read it. I like the cover. Looks mysterious! Killer Lawyer looks very interesting! Can't wait to read it!